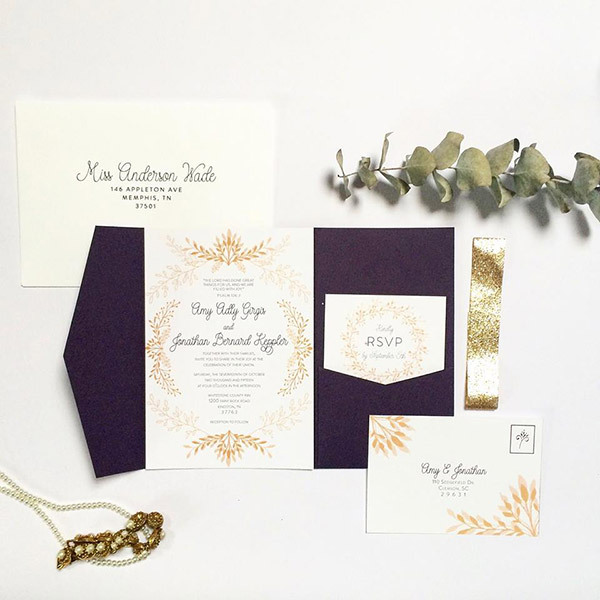 Courtney’s delicate use of wheat and floral elements along with charming topography and gold glitter belly band makes this a very simple yet lovely invitation. 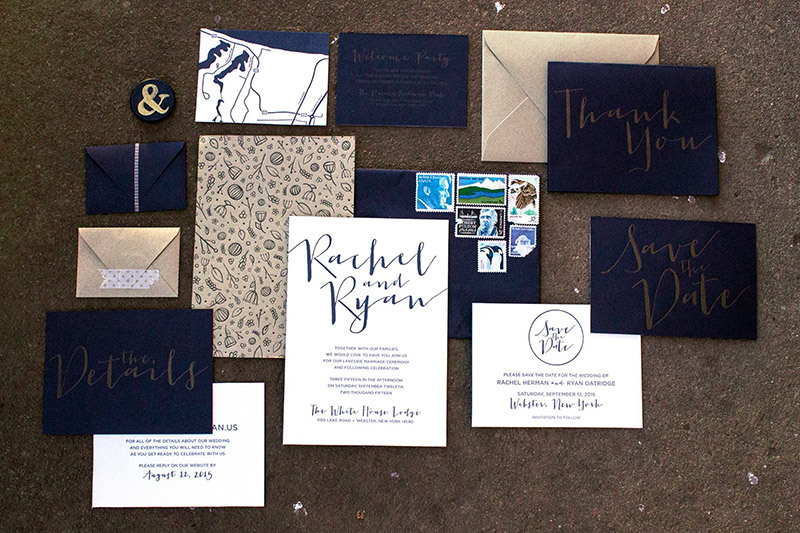 Rachel used the rich imperial blue color in combination with bold large lettering to make a classy and modern suite. 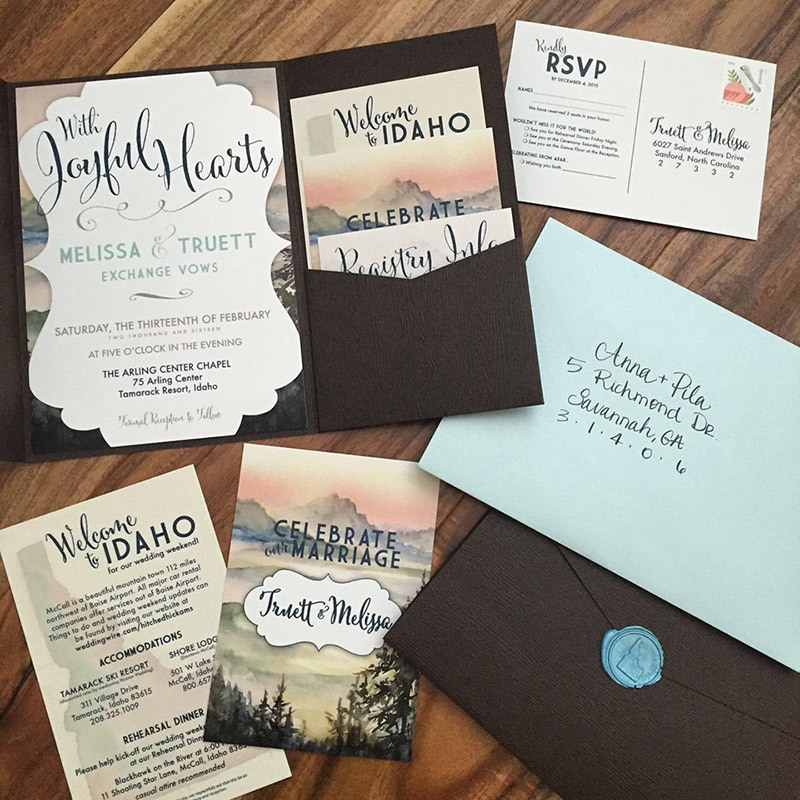 We loved the consistent look carried through all her printed materials. “I designed and letterpress printed each piece of this invitation suite. For my save the date cards, I used the Imperial Blue text weight paper with metallic gold ink for the one side and a white cotton paper with navy blue ink for the other. I ended up using an adhesive to create the double-sided effect with the two sheets of paper. I also hand-painted a little magnet as a reminder with an ampersand on the front and our names and wedding date on the back. Kelly’s beautiful watercolor landscape worked perfectly with the woodgrain pocket for a very unique and happy look. We love the Idaho wax seal!